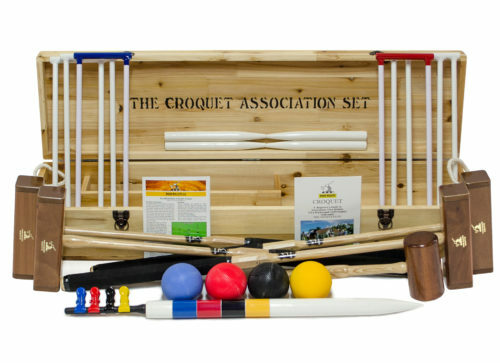 The Croquet Association Set is made for the connoisseur who appreciates fine equipment and is serious about the game. They become family heirlooms and will be the envy of every visitor. Developed in collaboration with, and endorsed by the Croquet Association in London. 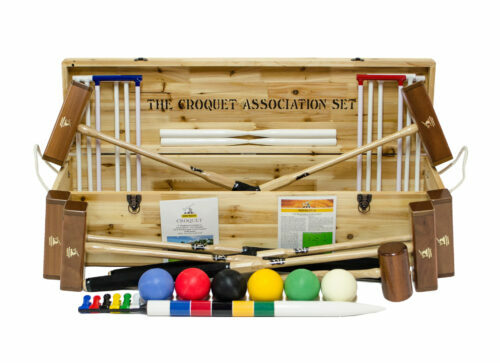 The “Croquet Association Set” has been developed in collaboration with, and is endorsed by, the Croquet Association in London. It contains competition mallets made to the exact specifications of World Champion player Joe Hogan. 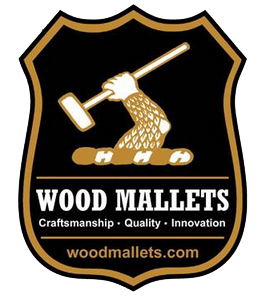 Unless otherwise requested all mallets are supplied with an overall weight of 3.00 lbs and measuring 36 inches. The mallets have black synthetic cushion grips fitted. Up to 10 letters may be stamped in gold on one side of the mallet heads at no extra charge. The set comes packaged in a solid pine chest. The match balls meet with the regulation specifications for size and weight. The welded 1/2″ iron hoops are powder coated to prevent rusting. Every set carries a colour booklet with the official Croquet Association rules, US 6 wicket, US 9 Wicket and Golf Croquet Rules with some tips and tactics. All components are guaranteed against breakage in the course of reasonable use and care.